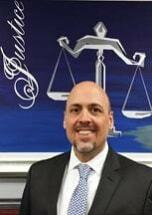 Mr. Marino has been working in the Workers’ Compensation field since 1986, first as a hearing representative and then as an attorney. His vast experience in this area of the law includes representing both applicant (injured workers) and defendants (insurance companies and employers). He started working for an applicant’s firm in the San Fernando Valley then later began representing several national insurance carriers. In 2004 he decided to hang his “shingle” and opened his own firm. Mr. Marino has represented many personal injury clients involved in motor vehicle accidents and slip and falls throughout the years. Also, he has represented clients with criminal cases involving felony and misdemeanor matters. This include but are not limited to driving under the influence (DUI) and drug offenses (Health & Safety Code violations).